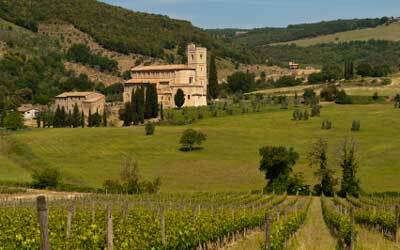 Like many English words, the origin of the word ‘vinegar’ is French, in this case ‘vin aigre’, meaning ‘sour wine’. Why? Vinegar is produced through fermentation of the natural sugars in alcohol. Vinegar has been made for over 10,000 years. It was produced initially through the fermentation of natural sugars in grape “must” (the result of the pressing process in wine-making), beyond alcohol to acetic acid. In a major study on fruit growing ─ “La Pomona Italiana”, published in 1839 ─ Count Giorgio Gallesio divided vinegars into two categories: those made from cooked must only, and those made from “fermented must and wine”. He described the former, Balsamic Vinegar, as “exquisite” and the latter as “also excellent”. Balsamic vinegars made from the cooked reduction of grape must have been made in and around Modena, Italy dating back to the traditions of the ancient Romans. The term “balsamic” is relatively new in the world of vinegar; its earliest recording was in the records of the ducal inventories of the Este Palace in Modena in 1747. The vinegar produced today is much like the product of years past, but with newly discovered flavours. The mainstays of the category ─ white distilled, cider, wine, and malt ─ have been joined by balsamic, rice, rice wine, raspberry, pineapple, chardonnay, and many other flavoured and seasoned vinegars. Balsamic vinegars have become very popular in a wide range of cuisines. The production of the highly-prized traditional balsamic vinegar is governed by very strict regulations administered by a Consortium of producers (Consorzio Produttori Aceto Balsamico di Modena). The next grade in balsamic vinegars is called ‘condimento’. This grade may be labelled as “condimento balsamico”, “salsa balsamico”, or “salsa di mosto cotta”. Condimento balsamic vinegar can be made in a variety of ways. The third grade for balsamic vinegars is “commercial grade”, which is not Consortium approved. It is typically produced from white wine vinegar to which various additions have been made in order to simulate traditional balsamic vinegar in taste, texture, and colour. 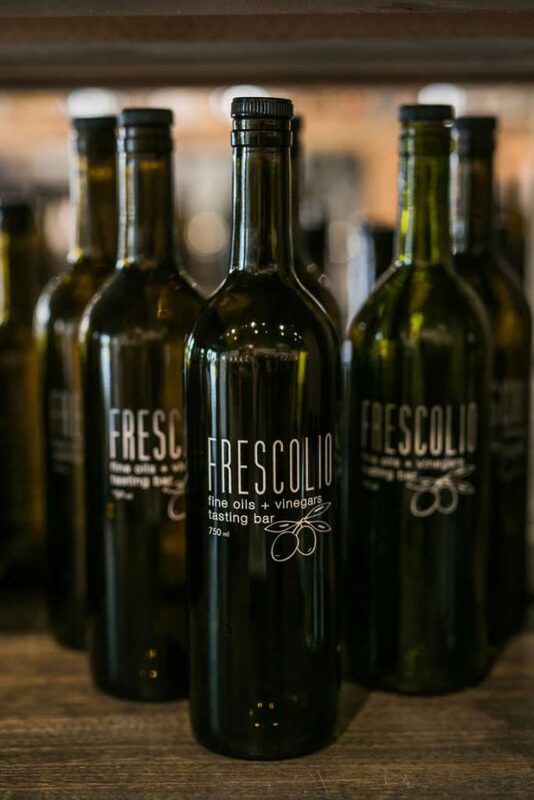 At Frescolio we offer a Condimento Balsamic Vinegar certified to come from Modena, Italy. Although this is not ‘tradizionale’ balsamic vinegar, it is aged for 18 years in wooden casks, using the traditional method. It is much more affordable than the highest grade available, and in our opinion, very closely resembles traditional balsamic. 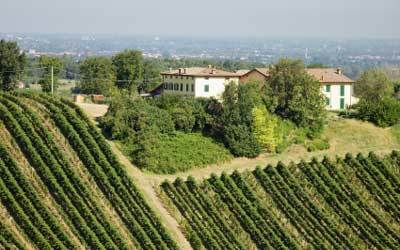 True balsamic vinegars are produced in only two locations in the world: the adjacent provinces of Modena and Reggio Emilia in northern Italy. These vinegars are made primarily from Trebbiano grapes. The ripe grapes are pressed and the mixture is then cooked for many hours to reduce it to a concentrate. The concentrate is then aged for up to 18 years in wooden barrels of various sizes. Because true traditional balsamic vinegar is very expensive, we are fortunate that other excellent balsamic vinegars are available to us. Condimento balsamic vinegar, for example, is similar to traditional balsamic vinegar, but its production varies slightly from that of the “true traditional” product. The processes described above have all been in the context of dark balsamic vinegar, more often called simply “balsamic vinegar”. White balsamic vinegars, which are reduced and aged for a much shorter period of time, result in a lighter colour and higher acidity than dark balsamics (due to a shorter caramelization process). Some producers use stainless steel barrels to age the vinegar, rather than wood, so that no colouring is imparted to the vinegar. White balsamics are sometimes preferred for aesthetic reasons, since they do not impart the deep colour of dark balsamics to the food preparation in which they are used.